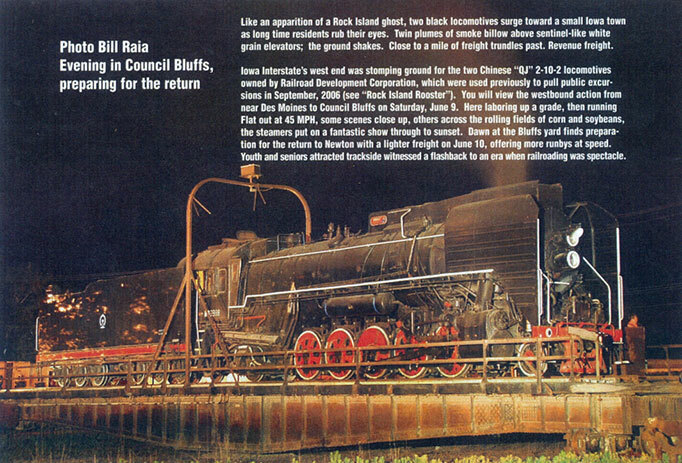 Like an apparition of a Rock Island ghost, two black locomotives surge toward a small Iowa town as long time residents rub their eyes. Twin plumes of smoke billow above sentinel-like white grain elevators: the ground shakes. Close to a mile of freight trundles past. Revenue freight. 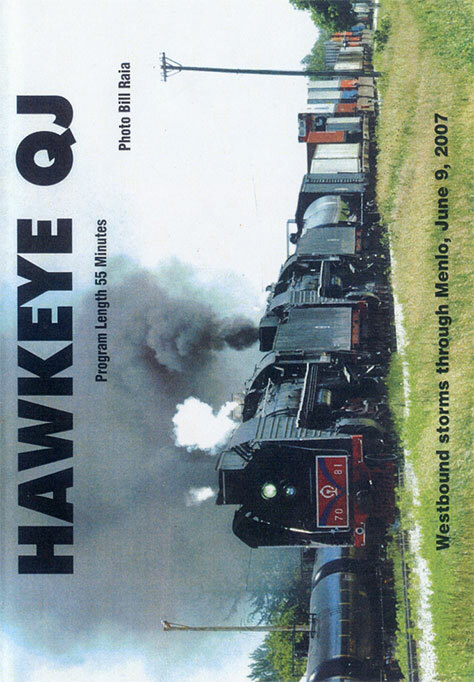 Iowa Interstate's west end was stomping ground for the two Chinese "QJ" 2-10-2 locomotives owned by Railroad Development Corporation, which were used previously to pull public excursions in September, 2006 (see "Rock Island Rooster), You will view the westbound action from near Des Moines to Council Bluffs on Saturday, June 9. Here laboring up a grade, then running Flat out at 45 MPH, some scenes close up. others across the rolling fields of cam and soybeans, the steamers put on a fantastic show through to sunset. Dawn at the Bluffs yard finds preparation for the return to Newton with a lighter freight on June 10, offering more runbys at speed. Youth and seniors attracted trackside witnessed a flashback to an era when railroading was spectacle.